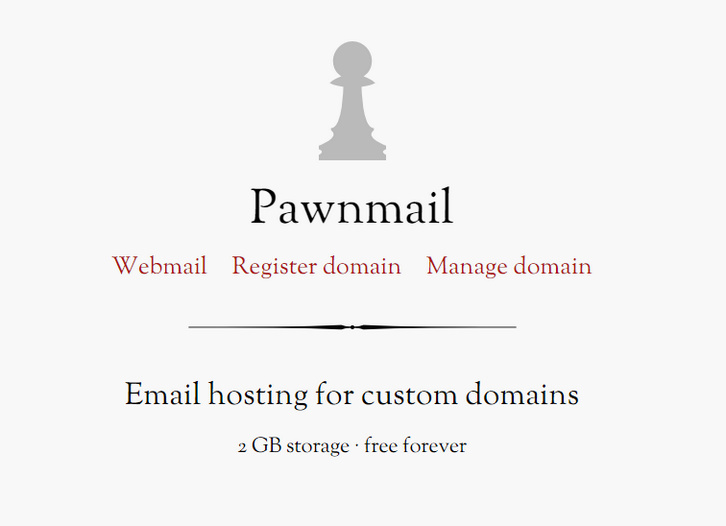 Pawnmail was created by Andrew Belt to give domain name owners a simple email solution. He uses Pawnmail for his own projects and hope that you may find it useful as well. It provides Email hosting for custom domains with 2 GB storage and best of all, it’s free forever. The easiest way to access your email account is via the webmail client. Pawnmail can also be accessed with other web, desktop, and mobile email clients with POP3, SMTP, or IMAP server settings. Sent and received messages are stored unencrypted on the servers.